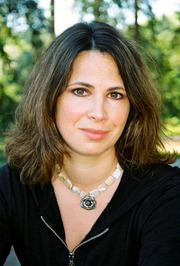 Alexa Martin is the author of GIRL WONDER, a novel for young adults. She holds an MFA in Writing and Literature from the Bennington Writing Seminars. She lives near Seattle and complains about the weather a lot although she secretly likes the rain (don’t tell!) For fun and torture she runs long distances on muddy mountain trails. Over the years she’s worked a lot of random jobs in trying to keep the writing dream alive, such as the time she worked in a steakhouse even though she’s a vegetarian. Initially GIRL WONDER was about a story about a horse, which just goes to show you that art is what happens when you are making other plans. We’d love your help. Let us know what’s wrong with this preview of The Distant Hours by Kate Morton. We’d love your help. Let us know what’s wrong with this preview of Aliens on Vacation by Clete Barrett Smith. We’d love your help. Let us know what’s wrong with this preview of Girl Wonder by Alexa Martin.